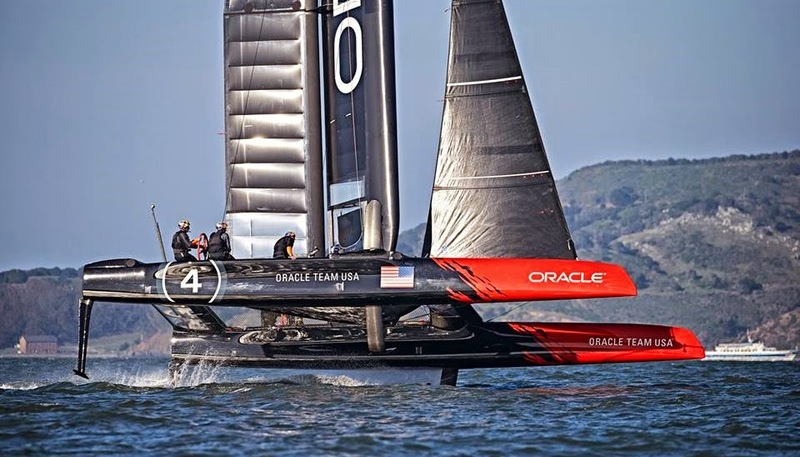 Photos by Balazs Gardi @balazsgardi - Oracle launched the 'new' 45, and they sail with Artemis own in SF Bay. Source Team Oracle. 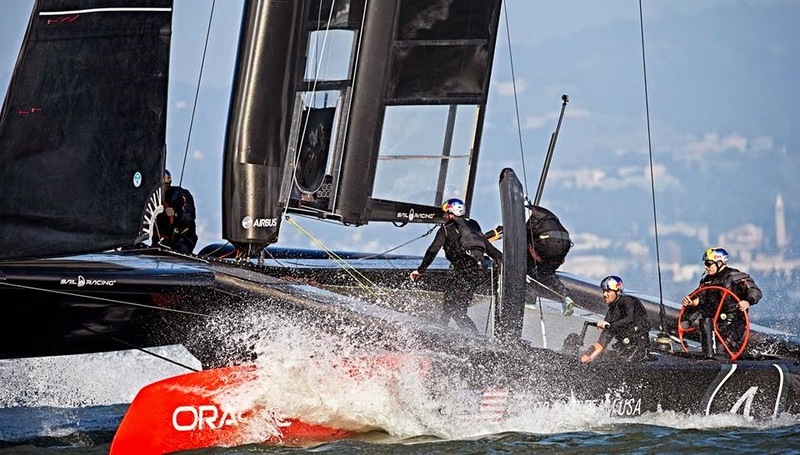 If the AC45 Series was the best racing I've seen and proved how good this design was, I can wait to see the new foiling fleet in Action. 'T' Rudders are still there as the C+L foil. Which team will arise with a new foil setup for the AC62s?? Some in the A-Class are still playing with L Rudders, but beyond less drag I have feedback on extra workmanship / layups and not such good stability. In any case no one has more resources than the AC boys, although we know they are not always on top of things, as shown by Oracle & Artemis early attempts. Still nothing beats R&D/CFD plus real scaled testing as done by TNZ in past Cup.